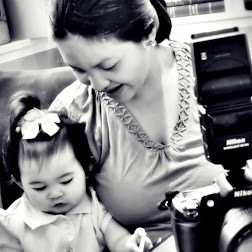 Rina's Rainbow: A Parent's Nightmare: S.I.D.S. When I was new to this parenting thing, I tried to read as much articles as I could to aid me on the start of parenthood. How to put a baby to sleep, how to give the baby a bath, etc. And I often came across the acronym SIDS (Sudden Infant Death Syndrome). This is when things in the crib accidentally covers your helpless baby's face and causes the baby to suffocate or choke, or any other crib/sleep related deaths in infants. It could happen in just a matter of seconds. It's really a scary thing. And sadly it really happens. And so almost every article says that the crib must not be filled with anything at all except a very fitted sheet, and the baby. Nothing else. This is so different from what Filipinos are used to. I usually see cribs filled with hotdog pillows, a baby pillow, a comforter, and stuff toys. Yikes! Ooops! Guilty as charged! Rain's crib had a few toys and pillows and stuff. Thankfully though we were one of the lucky ones who never experienced close calls of SIDS. Ever since Rain was an infant, she never really slept well in her crib. I remember the first few nights after coming home from the hospital, she would wake up every 2 hours to feed, and then after burping, it was a challenge putting her back down in her crib. But whenever I would make her sleep in my arms in our bed, she would sleep so soundly. And so as a rookie mom, and out of exhaustion, I would just let her. We co-slept. But again, thankfully no close call happened. But you can never tell. So for those who want to co-sleep, it is suggested that the baby sleeps in between a wall and an adult. Not in between two adults. It's safer that way. And you have to be alert. Periodically check on your baby beside you. If you feel any sudden movement, wake up! Co-sleeping is NOT for parents who drink, or who take medications that make them drowsy. 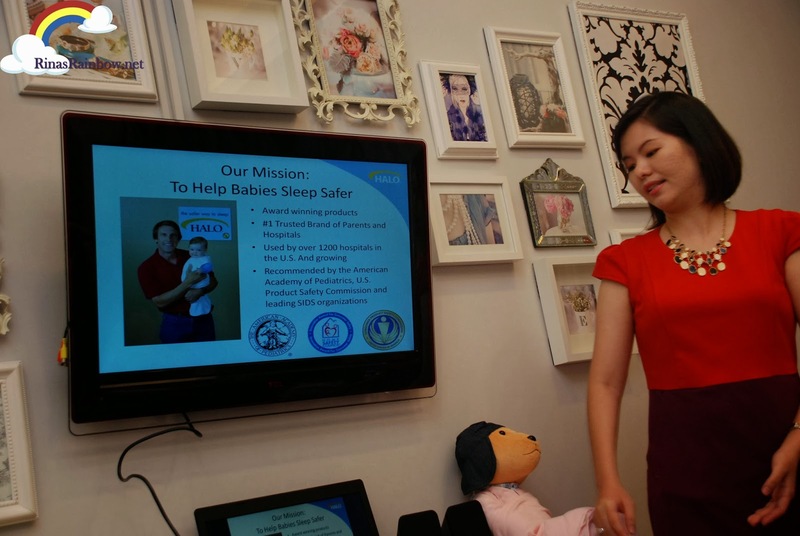 Also, safe sleep advocates actually discourage sharing adult beddings when co-sleeping with babies. But in my case, a co-sleeper, it can't be helped. 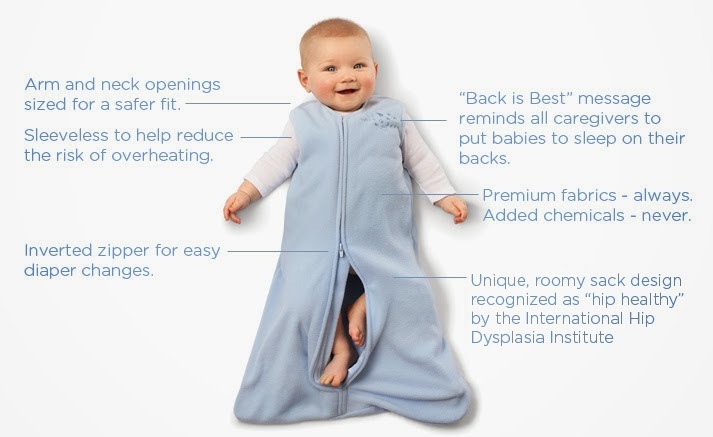 So the safer alternative is to put the babies on top of adult blankets / comforters while wearing a sleepsack so they will still feel warm even when they're outside of your big blanket. On the other hand, if you don't feel comfortable co-sleeping, you'll still need something to cover up your baby's body and keep him warm all-through the night while she's in her crib. And since sleep advocates discourage loose sheets inside the baby's crib, this means blankets are out of the question. Your safer alternative once again is a good quality sleep sack. Something that won't cover his face and won't come off no matter how many sleeping position changes he makes. And that's where HALO Sleep Sack comes in. HALO Sleep Sack was founded by a man who unfortunately lost a child because of SIDS. And that's why he made this brilliant sleeping gear to prevent this from happening to other babies. It's basically a wearable blanket that is engineered to never cover your baby's face. And no matter how the baby moves, it will always keep him warm and cozy throughout the night. Throwback! 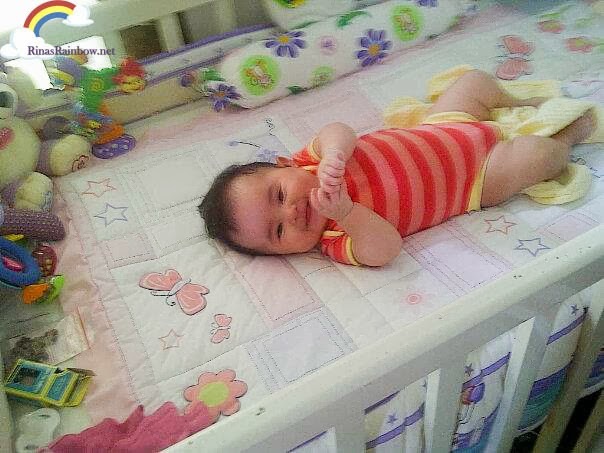 My little Rainbow when she was a newborn! Little Baby Zamora! HALO has different kinds of sleepsacks. One of which that I really really wish I had when Rain was an infant. You know how newborns sleep so soundly when they're swaddled because it makes them feel like they're inside the womb again? 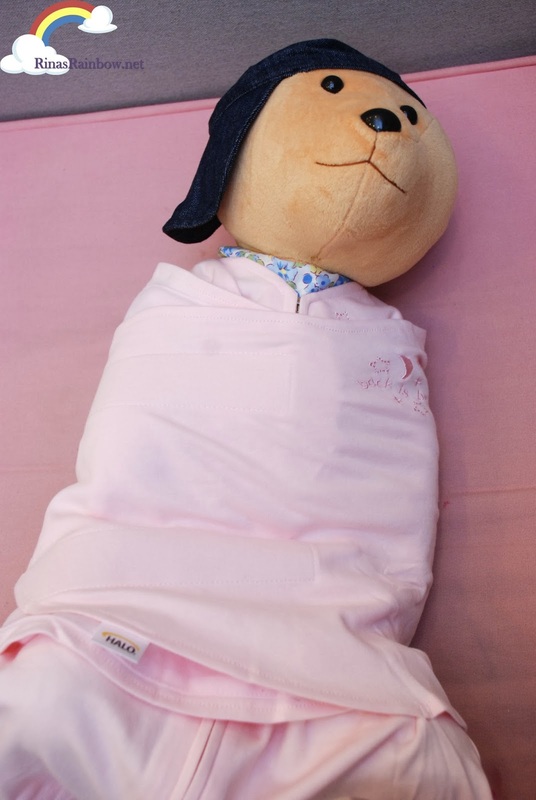 Well, swaddling may look easy but it's TOO HARD!!!!!!! I always had to call for the hospital's lactation nurse to do it correctly and snugly. (It was only the lactation nurse that was able to do it perfectly. None of the other roaming nurses could do it). And no matter how many times I watched her do it, I could never do it perfectly. Rain would always wiggle her way out of my swaddle in seconds like David Copperfield. 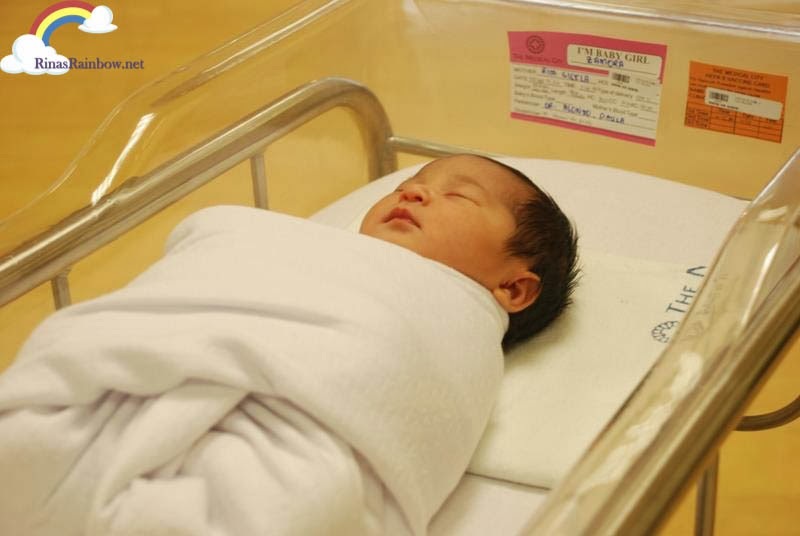 And so the HALO SleepSack Swaddle (P1,549.75) is the perfect blanket for newborns. It covers the whole body, and on the top part, there are swaddle flaps with soft Velcro (Yes!!! No need to do those complicated manual tucking!) which prevents your baby's arms do the "Moro" or startle reflex. The startle reflex is when the baby's arms and legs suddenly throws up into the air for no reason. I always thought Rain was just dreaming whenever she would do that in her sleep hahaha!). See how snug the baby bear is in the picture above? 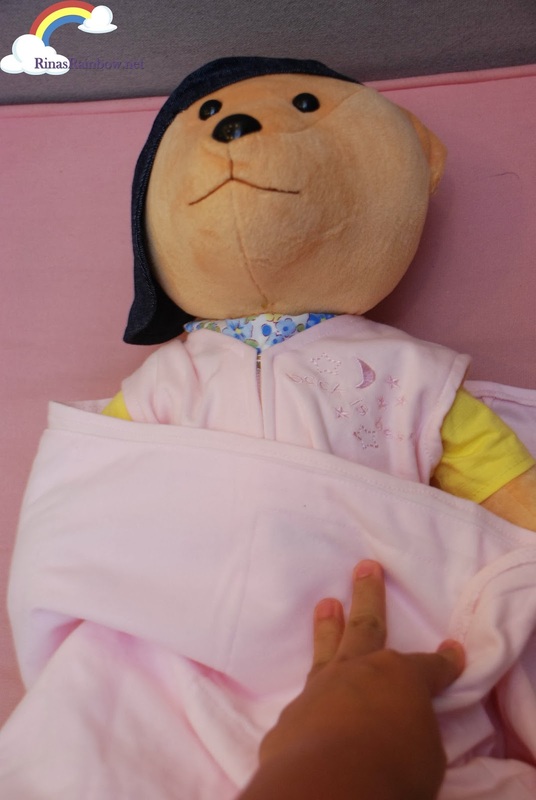 And unlike other easy swaddle products, this one is a 2-in-1 adjustable swaddle that allows you to swaddle the baby with arms out, instead of just arms in. This way, you can adjust it to your baby's comfort as she grows. And this will also make the transition easier for the baby for when it's time to stop swaddling. Instead of swaddling the baby with arms in, wrap the flaps around the baby's chest via the underarms. Tadaaaaaa! Now it looks like your baby is wearing a comfortable sleeveless shirt! You won't need an instruction manual to use the sleep sack. There are instructions already on the sleepsack itself which shows you the super easy steps on how to use it. 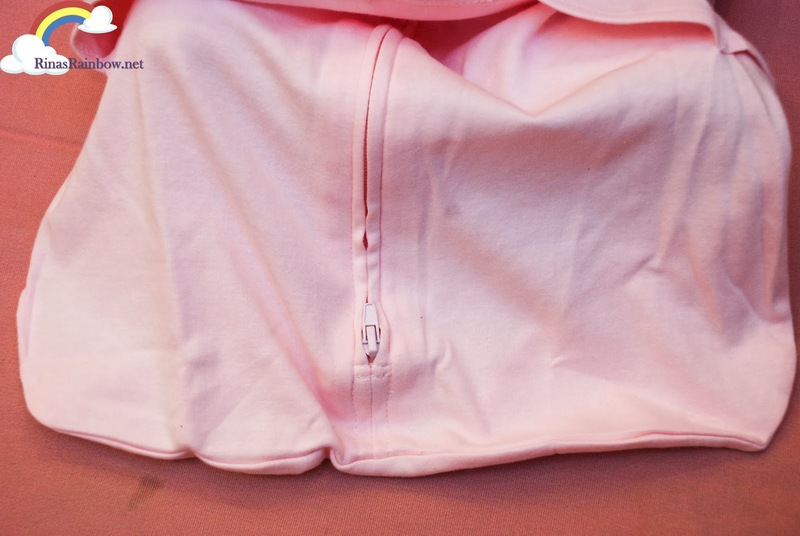 And another brilliant thing I love about the HALO SleepSack is its inverted zipper. You zip it open from the feet up. Which means it's a breeze to change diapers without taking the whole sleepsack off, or without opening the swaddle on top and disturbing your sleeping baby just to open the zipper. 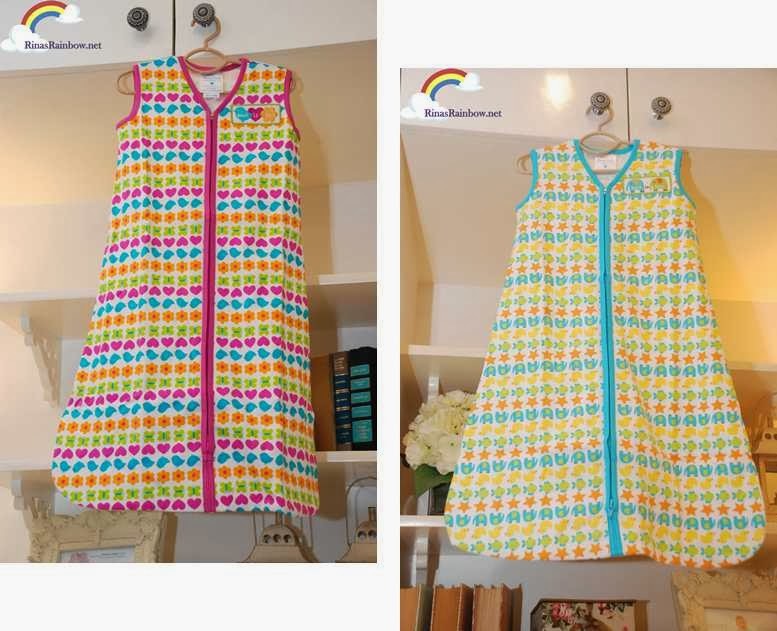 Next is the HALO SleepSack Wearable Blanket (P1,549.75) which is your alternative to loose blankets. My problem with Sleeping Rain is she always kicks off the blanket when she sleeps. She takes after her dad who doesn't easily get cold. But since we co-sleep, she ends up kicking off my blanket too! So this is actually an awesome solution to co-sleeping with blanket-kicking babies. 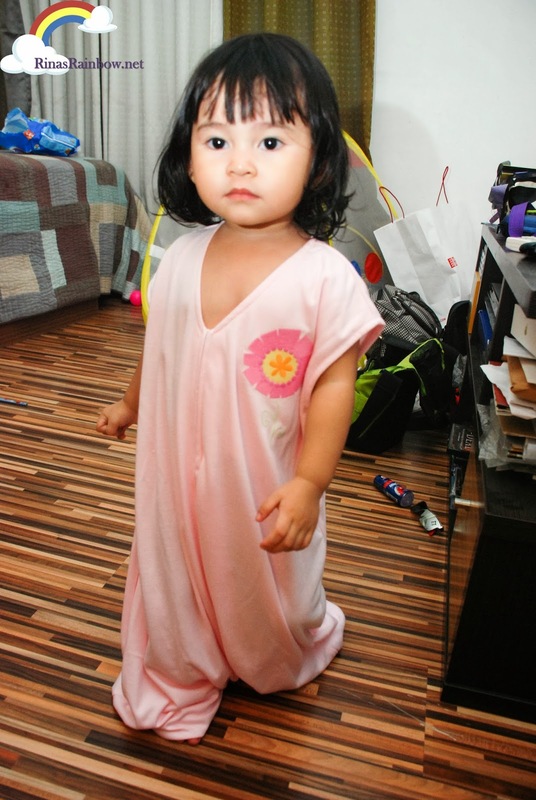 The v-neck design is to ensure sure that no matter how your toddler moves, it won't get pulled up and cover her mouth and nose while sleeping. And no matter what she does, she can never ever kick it off. Plus it keeps off those damn mosquitoes from her legs. 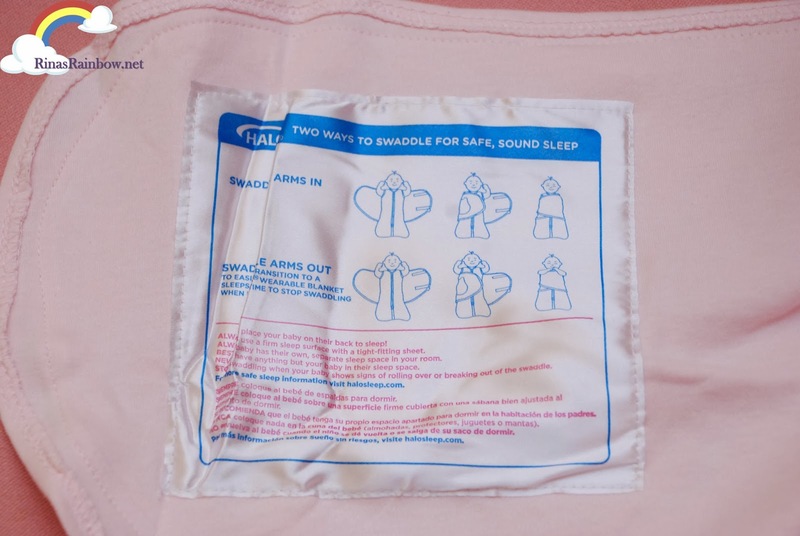 The cloth for all HALO sleepsacks are breathable, non-toxic, hypo-allergenic, and are flame-retardant fabric.So it keeps them warm enough, but also not too hot. 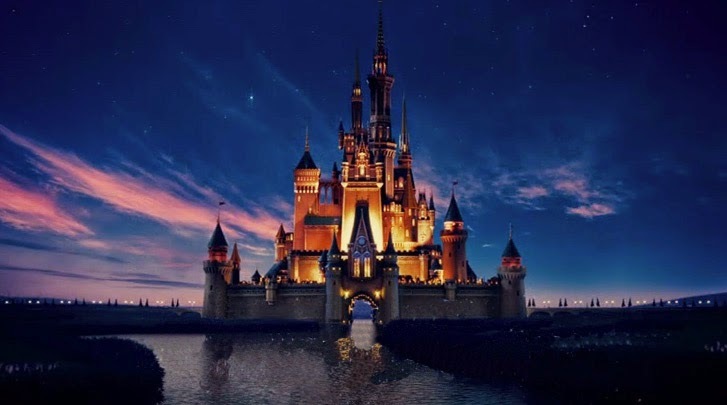 Don;t you just love the designs? The third kind is the HALO SleepSack Early Walker (P1,549.75). This is what I got for Rain. Perfect for toddlers! This one has feet feet openings that allows them to walk comfortably while wearing the sleepsack. It's perfect for Rain, who likes to do some last-minute playing in our bedroom before she actually gets sleepy. When I bought this, I was a bit distracted chatting with other fellow mommy bloggers during the HALO event and I didn't notice that I got XL. My little girl is petite, so it really looks big on her. So whenever she would walk around, I had to keep an eye on her to make sure she doesn't trip over hehehe. (By the way these sleep sacks can be worn over your kid's onesie or jammies. I just put it on Rain after she took a bath to test it out that's why she wasn't wearing a onesie inside hehehe) I just wish they had more designs for this type. So far they only have this and the blue one. 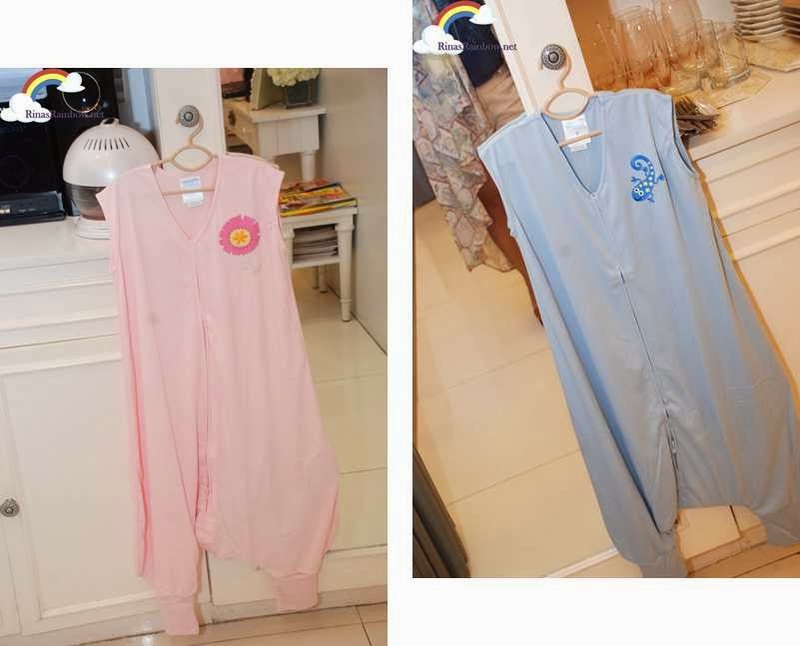 They also have another bigger size for bigger kids called HALO SleepSack Big Kids (P1,549.75) wherein the fabric used is fleece giving more warmth. ....Voila! Wearable blanket! Also, this way, she can now sleep on top of our blanket. This means her chances of being covered in the face with the big blanket is far less than when she shares a blanket with us. I am really glad I got one for Rain. This makes it to my best baby purchases 2014 list! It honestly sounds quite expensive frankly but that's because you're getting the best quality of everything. Everything used here is 101% baby safe (as pictured above), and it really serves its purpose! 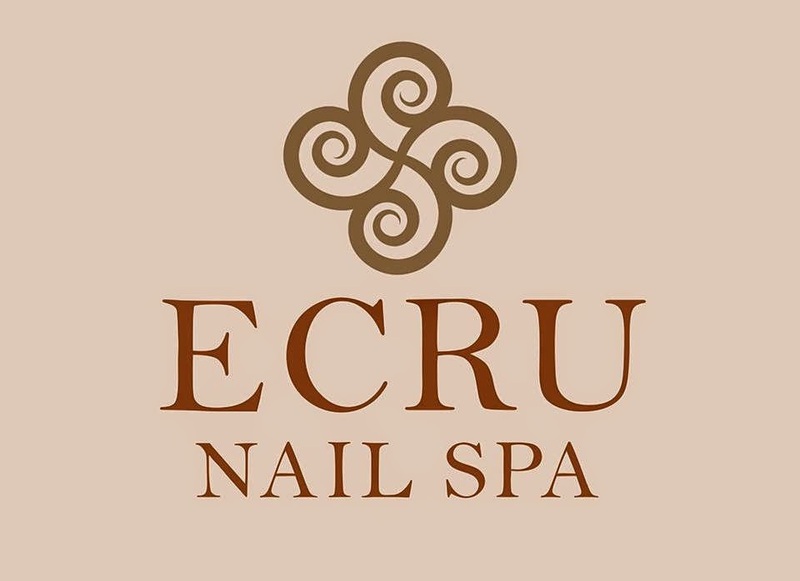 I highly recommend this! Thank you to Miss Ives of HALO Philippines for sharing with us a lot of really helpful S.I.D.S prevention information and for inviting me to the event! 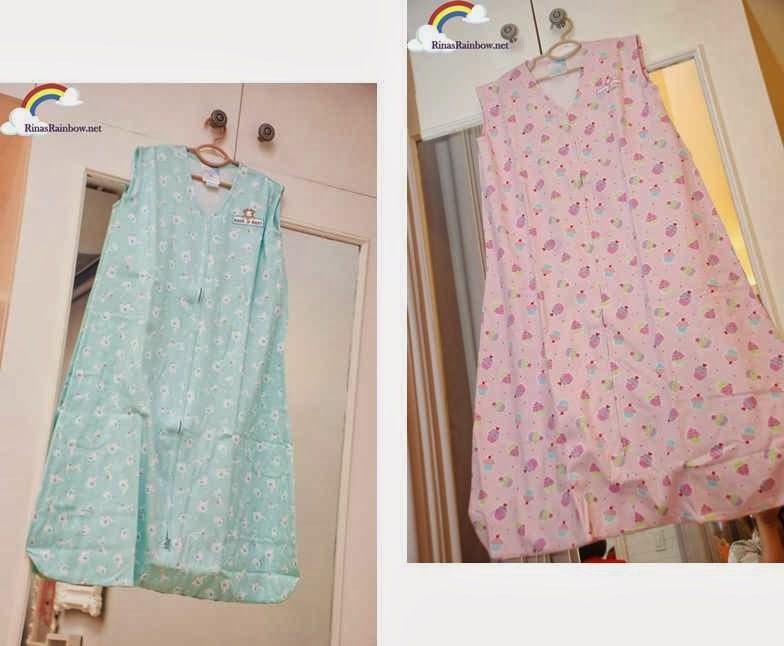 Locally, HALO SleepSacks are available at www.halophilippines.com, Rustan’s, Babyland, Fishermall, Numa, and e-commerce sites like Lazada, Ava, and Cudsly. 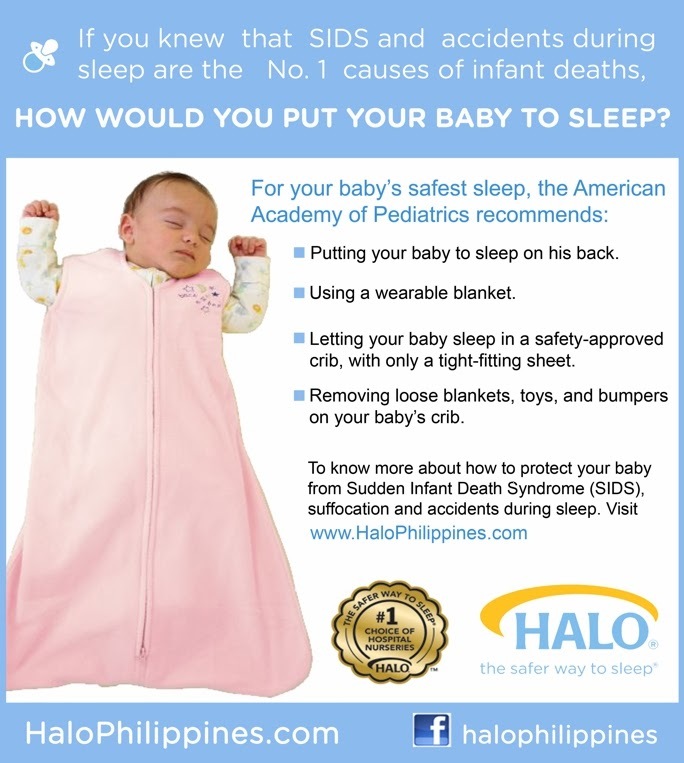 Please like www.facebook.com/halophilippines and follow http://instagram.com/halophilippines to help spread the word about safe sleep!